Streamlined security or user hand holding? Chrome users are upset at changes being brought in to current and newer versions, according to posts on the browser's discussion forum. 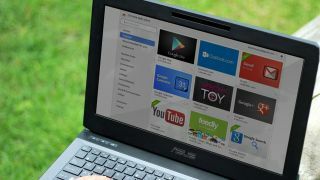 Google's new policy automatically disables most extensions downloaded from sources other than the company's official app store, the Chrome Web Store. With the update, the only apps that will be able to be installed on Chrome will also have to be from the store. The company has described the move as one for greater security, a protection against developers using loopholes to install malware-laden add-ons without user knowledge. The new policy has been turned on for the Windows beta version of Chrome, evidently surprising some of the millions who use the experimental version of Google's browser. The main complaint from most users was that the new version was holding their hands, telling them what extensions they can and cannot run. One user compared the new changes to someone installing training wheels on their BMX, while another decried the fact Chrome had removed their anti-virus extension. Despite these complaints, it seems that it's unlikely that Google will reverse these changes. A moderator of the same forums posted a message stating that the Chrome Beta will remain as it is. People who did not like the changes, they said, should simply move back to the stable version. It is likely that Chrome 35 for Windows will be the first stable build to enforce this new extension policy.